I’m busy with holidays and work, so not much blogging. 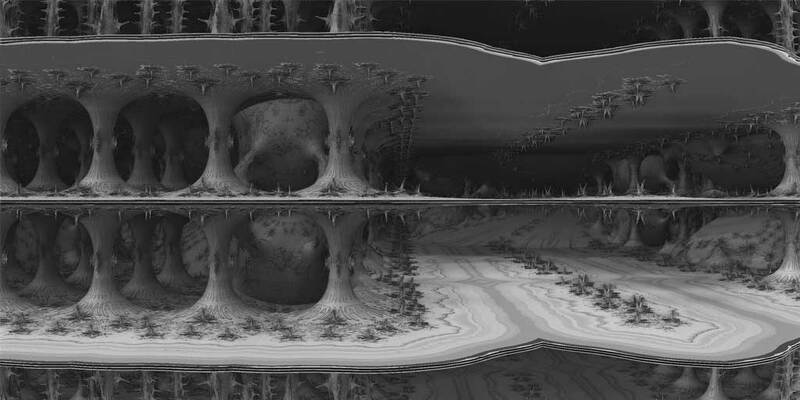 But, work-wise I came across an interesting program I needed to for making some unique original textures: MandelBlub 3D, a free 3D fractal generator. It is mentioned in the Advanced Photoshop magazine too. The art I first came across shown on Deviant Art looked like the type of art I needed for a work project. So, off I went to find the software and generate those textures. It occurred to me that some of these could be awesome for use in Second Life, especially since it appears the Lab is never going to change the TOS to something acceptable to CG Textures and similar suppliers of stock textures. Getting the program is the easy part. It is pretty much a stand-alone program that does not need to be installed, just unzipped and run. The tricky part is knowing how to use the program to generate something even close to what you want. So, I was back at Google searching for tutorials. That tends more and more to be a task of digging through the garbage to find gems. The best tutorials I’ve found so far are Hal Tenny’s on Deviant Art: Mandelblub 3D Tutorials. They need to be unzipped. You can use Extract Here as they unzip into their own folder. These tutorials are a bit old and lack the latest user interface that is seen in current downloads of Mandelblub. But, you’ll get understanding from the tutorials. It looks to me like most of the user interface (UI) changes are in minor areas that have little effect on the lessons. However, you will have to dig around to find some of the settings mentioned in the tutorials. Tutorial #1 talks about FOVy. You’ll find that under the Camera tab. The ‘iterations’ mentioned is now in the Formulas panel at the bottom. The iteration value makes drastic changes in the appearance of the image. You are going to make mistakes as you play with this program. You aren’t going to be able to figure out how to get back where you were before the mistake. At least I couldn’t. BUT… there is an undo button not mentioned in the first tutorial. They tell about it n the second. Look for the little arrow just above the CALCULATE button. That is undo. The next gotcha from the UI change is the location of the RESET view button. You’ll find three reset buttons now. One in the Formula panel, that resets the formula so you’ll normally leave it alone, unless starting over. A second under the POSITION button/drop down. The third is in the ROTATION button/drop down. These last two appear to have replaced the single view reset button. You’ll find Tenny’s second is a bit off. The new reset buttons change the example fuzzy cube’s position differently than the Mandelblug version used for the tutorial. But, rotate the cube on the X-axis until you see the view he had. Minor problem. By the time you finish the second tutorial you will be able to use Mandelblub with existing formulas. But, you have also likely got lost a couple of times as you rotated the view. The tutorials don’t get into it but there is a 3D Nav tool (a button in the upper left of the main window) that will probably be more what Second Life people want. You set up your view and then send it to the main render window. You can turn on an axis control, click and move, mouse wheel or use AWDS keys (and others), arrows… The window renders a bit like Blender does in Cycles. It is faster than ‘PREVIEW’ in the main Mandelblub window. With some experimentation you can get the views you want. The design idea in the 3D Navi is: all movements can be made with the left hand and all rotations with the right hand. Use the keys that are shown beside the buttons. There is more help in the HTML ReadMe file that comes with the download. Also, in the next tutorial I mention Tenny gets into using the 3D Navi panel. In the 3 tutorial you found by the link above, Tenny also has one on Mandelblub’s Volumetric Light. Volumetric Light is a fancy way of saying a means of rendering light rays that shines through dust particles and air and are obstructed be things. This tutorial is made using version Mandelblub 1.8.9, the version currently available for download as I write this. Tenny says that Volumetric Light (VL)doesn’t always work. Remember this and avoid banging your head on a wall with a set that cannot be used with VL. However, Tenny does show how to get VL working in some cases that appear not to be suitable for VL. I think the biggest tip in the tutorial is how to find the VL on button. The next is to save your settings OFTEN. The math is over my head… there is too much to get my head around. The handiest bit of information I can give you is that to remove a formula from your calc set is to go to the 4Da tab and select the blank formula. It is the first entry in 4Da. Also, formulas with names starting with an underscore (_something) cannot be used as standalone formulas. The dIFS tabs work together, I think. The first tab has shapes. The next two have transforms. You have to have a shape to transform. It does not seem to matter if the transform comes before or after the shape in calculation order. But, I have not tested that enough nor do I know enough to know if this is true for all cases. 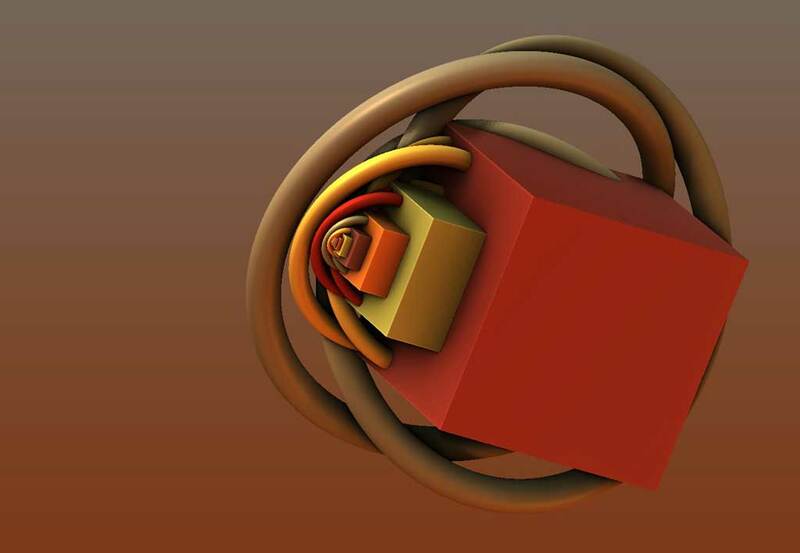 Check out this formula tutorial: Mandelblub 3D Fractal Formula Tutorial. Look in the folder where you have placed MandelBlub. You will find a folder labeled HISTORY. This is sort of a collection of auto-save files. They may prevent you losing a great image. The save files are settings (m3p). You can find more tutorials listed here: Mandelblub 3D Tutorials. The forum that seems most popular with M3D users is: FractalForums.com. My link is to the M3D section. 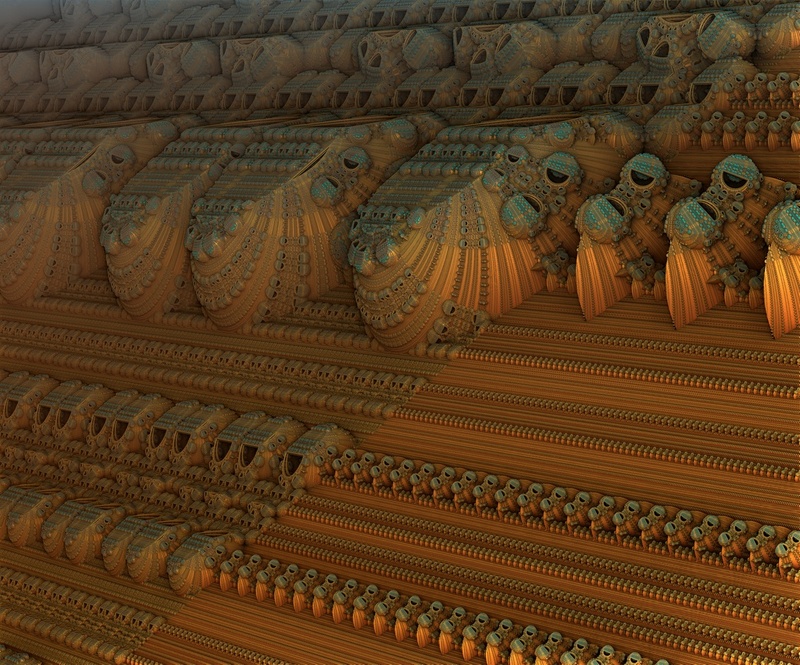 This entry was posted in Art, General Computer Stuff and tagged Fractals. Bookmark the permalink.